How To Build The Most Affordable 2 Storey Homes Perth? We often get asked is a 2 storey home more expensive than a single storey home? For many years building a 2 storey home in Perth was much more expensive than building a similar sized single storey home. Historically, 2 storey homes have been a status symbol, but nowadays its possible to build an affordable 2 storey home. 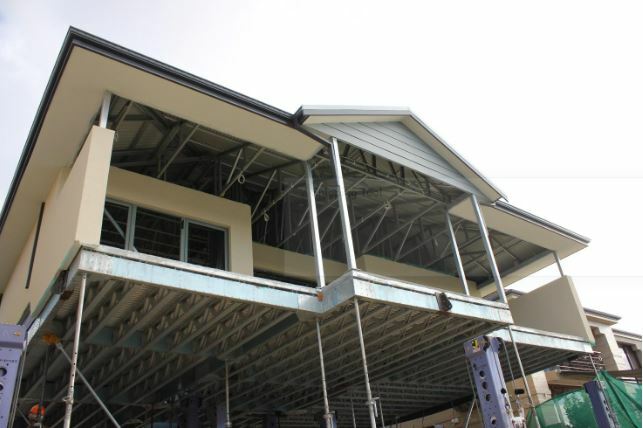 By building 2 storey you can maximise the space available on a small lot which helps many homeowners meet their budget. Even on small lots you can keep the backyard for the family and still have a great sized home by building a 2 storey home. There is an art in knowing how to maximise a 2 storey house design on a small lot, and Its not uncommon to have a house designed that exceeds your budget. If that’s happened to you don’t despair, we can help. Many people come to us disappointed they have not been able to get their dream home in the budget they have. Often they already have a 2 storey home design they love, but can’t afford the price. This is exactly what we can help with, we are specialists in getting a 2 storey home on budget. How can we help getting your 2 storey home within your budget? The reason building a 2 storey home is more expensive is because there a few extra requirements beyond what is needed when building a single storey home. When you build a 2 storey home you need scaffold to work above ground level. Plus, working on scaffold requires a crane to lift up materials, and then often materials hoists are also needed. Plus when work is performed on scaffold and using cranes and hoists extra time is involved and tradesmen need to paid for that time. These also clutter the site restricting room for materials, parking, rubbish storage and work areas. Dealing with these logistic problems costs more money and time. The cost of using scaffold, cranes and hoists can be $20,000 to $50,000. That’s money spent that you never see any benefit from. Our secret to building affordable 2 storey homes is that we don’t use scaffold, cranes or hoists. Everything is done at ground level without all these extra costs which saves thousands of dollars and is quicker to build so you can move into your home faster. How do we build affordable 2 storey homes? We first build the upper floor on the ground, before the ground floor is built. Then we liftup the building by raising the house and then build the ground floor underneath. This is done by jacking up the house using high precision and very strong high lift house jacks. You can find more information on our website at www.greatlivinghomes.com.au Call us today to get your affordable 2 storey home in Perth or Mandurah!